The Story of Bert's Pizzeria and the Mewburn Family. The Mewburn family have been farming land around Brandesburton, East Yorkshire since 1899. The story of the original Bert’s restaurant really started with the beautiful lake that we overlook: in the 1970s our grandfather Robert (whom the pizzeria is named after) realised that some of the family land was sat on glacial sand and gravel deposits, so began to extract the minerals. The lake was created when the extraction work finished, and Dacre Park was established as a touring caravan site in 1984. The park has grown over the years, with the introduction of Scandinavian holiday lodges in 2005 and then Coneygarth Lakes and lodges in 2012. Bert’s in Brandesburton opened in June 2014, and has been a real family affair, with all four of Robert’s great grandchildren closely involved in the restaurant. We still have the farm, where we are now rearing our own Wagyu beef, which is served in the restaurant. In 2017 we began looking for a venue in Hull, with the aim of bringing real wood-fired pizza and authentic Italian gelato to the city. When we saw the view of the Deep and the river Humber from the building that we have now transformed into our Hull restaurant, we knew it was the perfect venue. 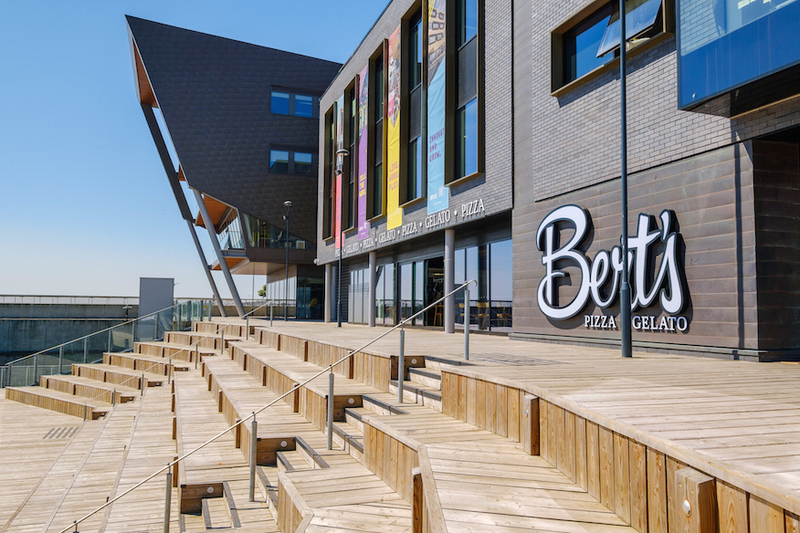 We are delighted to announce that Bert’s restaurant on Queen’s Street in Hull will open its doors on Wednesday 4th July 2018. Being food lovers ourselves and putting our heart and soul into Bert’s, we value and appreciate all customer feedback. Our family have been overwhelmed by the response and support from the village and surrounding communities, we look forward to welcoming you and your friends and family to our restaurant in Brandesburton, and to our new restaurant in Hull.